I’ve told you in the past how the IRS can derail your travel plans if you don’t pay your taxes. Today I want to shine some light on common travel myths that are likely costing you more money than you think. According to travel research app Hopper, domestic flight prices will rise to about $229 round trip in April, from $218 in February — and up to $251 by June. As airfare climbs the closer we get to summer, the more important it is for you to know where you can actually impact savings on your next plane ticket. Flight search engines, last minute flash sales and regional pricing all factor into how much you pay for travel. But there are a few commonly held misconceptions about buying airfare that I want to debunk. It’s true that prices can be more affordable on certain weekdays, but Tuesday is not the magic day anymore. According to a report by Bloomberg that analyzed data from Hopper, the Tuesday rule only applies to 1.6% of domestic US flights, and only if you book right at midnight. Even if you complete the sale at 12 A.M. on the dot, you’re going to save just $18 on average. Bigger discounts exist, but they’re more common for international flights. Nine hundred of the 3,500 global routes Hopper analyzed offered an average discount of $20 per ticket on Thursdays, and 600 slashed $30 off the price on Mondays. If you’re looking to save on domestic flights, Thursday is your best bet. Hopper found that, on average, 3,500 out of 7,500 domestic routes lowered prices by $12 that day. On Wednesdays, 3,000 US routes offered a similar discount. More often than not, this doesn’t hold true, new data from Hopper finds that with the exception of flights to the Caribbean, all other destinations have a discount with a Saturday night stay. If you want to get the best savings, there are certain destinations that will save you more. Europe for example, the average discount is almost 40% when you include a Saturday night stay. Domestic and international flights to Canada, Mexico, Oceania and Central America offer discounts of less than 3%, says Hopper. Why is it cheaper to include a Saturday night stay? According to the travel experts, this rule will always depend on whether weekend vs. weekdays is a reliable way to discriminate leisure from business travelers. For US to Europe, it’s less common for someone to vacation mid-week without a Saturday stay, and vice versa, business travelers rarely want to stay over a weekend. This is why airlines charge business travelers more based on whether the trip includes a weekend. But in other markets, like domestic US flights, that logic doesn’t work so well, and they can’t maintain a price discrepancy. To make things more complicated, places like the Caribbean, this rule is flipped — there’s more leisure demand with week-long trips being very popular, so airlines charge more for trips with a Saturday night. Recent data released by Hopper finds that, on average, you save roughly 5% by choosing a direct flight. The research was true for about one in three flight queries. One other way you can save on flights with layovers is called “hidden city ticketing.” It’s 100% legal but very frowned upon by most carriers. How it works: If you want to travel between two major cities, say Chicago and New York, you could book a flight from Chicago to Burlington, Vermont, with a layover in New York, and skip the connecting flight. A website called Skiplagged, actually helps users find these hidden city flights. They were even sued by United for how cheap the flights were…and they won. If you decide to try hidden city ticketing, only bring a carry-on and don’t book round trip. I hate when this happens. You book a flight and a few hours later, panic strikes when you realize you booked the wrong dates. If the ticket was refundable, it’s no big deal but it’s almost always the case this happens when the ticket you bought is deemed non-refundable. What can you do? Other than pay outrageous flight change fees, there’s actually a change/cancellation window built into all non-refundable tickets that is regulated by the US Department of Transportation. If you booked your ticket 7 or more days before your scheduled departure, the DOT mandates a free change or cancellation within a 24-hour period. The catch is airlines don’t have to offer both options. They can choose whether they let you cancel or simply change your flight dates. 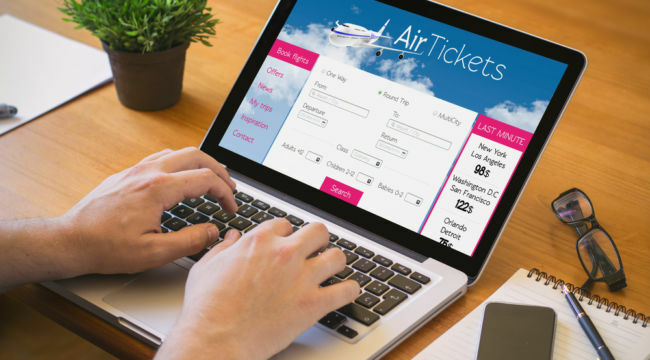 One final tip, when deciding when to book your flights, you can save money by choosing the optimal booking window. Flights between 21 and 121 days before departure seems to be the sweet spot. If you book between 169-319 days ahead, you pay roughly $50 more, and waiting until the last minute can sometimes cost you closer to $200 more than the lowest fare. I hope these help clear up some misconceptions about air travel.